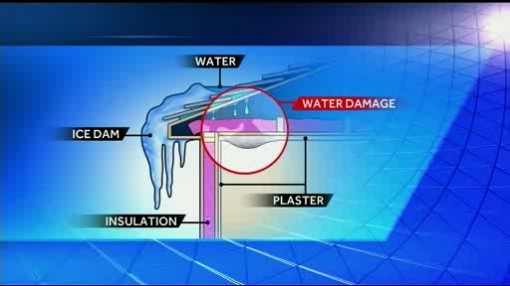 Last year WGAL ran this“8 On Your Side” story about ice damming and featured our friend and 2014 BIA president, Phil Eby, of Eby Exteriors, Inc. In the online article, Phil mentioned that ice damming, in fact, is the number one problem home exteriors face during winter. Unfortunately, homeowners typically only realize they have a problem when they see water stains on ceilings and walls. The best thing homeowners can do now, when it is still extremely cold outside, is to make sure that downspouts aren’t covered with snow, ice and debris. If you suspect an issue with your gutters or downspouts, please do not attempt to handle it yourself in these slippery conditions. Call an expert who can diagnose and resolve any problems. NOTE: Image courtesy of WGAL. Posted in Home Tips on February 11, 2015 by metzler.